A melt-in-your-mouth butter cookie is hard to resist. They are even harder to resist when you incorporate other delicious ingredients into the cookie dough, such as chopped up nuts and chocolate. A good example, of course, is this batch of Pistachio and Dark Chocolate Butter Cookies. 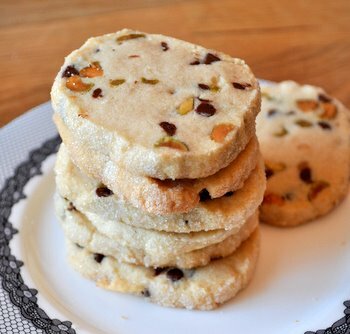 These are easy to make slice-and-bake-cookies that are studded with crisp pistachios and rich dark chocolate. The fact that they’re a slice-and-bake recipe means that the dough can be made ahead of time and you can slice off and bake as many – or as few – cookies as you need, so they are as convenient as they are tasty. Pistachios and dark chocolate are a great flavor combination in these cookies. Both flavors stand out very well against the background of not-too-sweet butter cookie dough. The dark chocolate adds a dramatic hint of bitterness to the cookies, while the pistachios actually taste richer and bolder than they do on their own. I used toasted, lightly salted pistachios to introduce a bit of a savory element to these cookies, but balanced it by rolling the edges of the dough in sugar, which lent an extra sweetness and a bit of crunch to the finished cookies. The cookies are buttery and very tender, with a nice crispness to them. If you prefer your cookies a little crunchier, you can simply leave them in the oven for a few extra minutes.Â You can also use other types of nuts – walnuts, pecans or almonds, to name a few – in these cookies and still get good results. I like pistachios primarily because I feel that they work especially well with the dark chocolate. My other motivation was that the green nuts make the finished cookies look very striking. It definitely tempts you into picking one up to see what the combination will taste like for yourself! In a large bowl, cream together butter and brown sugar. Mix in vanilla extract, flour and salt, mixing just until no streaks of flour remain. Stir in pistachios and dark chocolate to evenly distribute. Dough will be fairly dry. Place dough on a sheet of wax or parchment paper. Using your hands, shape the dough into a log no more than 2 inches in diameter. Wrap in plastic wrap and chill in the fridge for about 2 hours, or in the freezer until youâ€™re ready to use it (it will last for several weeks). Sprinkle approximately 1/4 cup sugar on a plate or cutting board and roll the sides of the dough logs in the sugar before slicing. Slice dough into slices that are no more than 1/4-inch thick, allowing the dough to soften slightly before slicing if you are using frozen dough. Arrange on a parchment-lined baking sheet. Cookies will not spread very much, so you donâ€™t need to leave too much room between them. Bake for 12-15 minutes, until cookies are lightly browned around the edges. Cool on sheet for 2-3 minutes, then transfer to a wire rack to cool completely. They look delicious! I’d imagine they’d be wuite shortbread-y…? Which would taste great with the pistachios! I have never eaten cookies like this before. I can’t wait to try them — they look gorgeous! 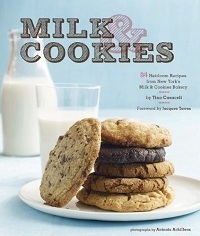 As a fan of both these ingredients, I am sure that these cookies taste absolutely divine. Wow, the above post took the words right out of my mouth. Butter + pistachio + dark chocolate = absolutely divine!!! 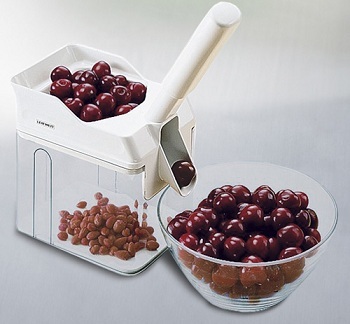 Have you ever tried adding some dried cherries or cranberries? I feel like the tang and tartness would give it extra oomph for the summer! Yummy! For Christmas, I add chopped dried cherries or dried cranberries. Interesting flavor combination. The cookies look very pretty with the different colors. These look delicious. I’m surprised there is no egg! Just made up 2 batches- 1 adding 1/4 cup of cocoa powder for a double chocolate taste, the other just as written. I loved both! This is a very good cookie. It is a little on the dry side, but extremely tasty. These won’t last long in my house! Opps- I meant 4 tablespoons of cocoa power in the last post!